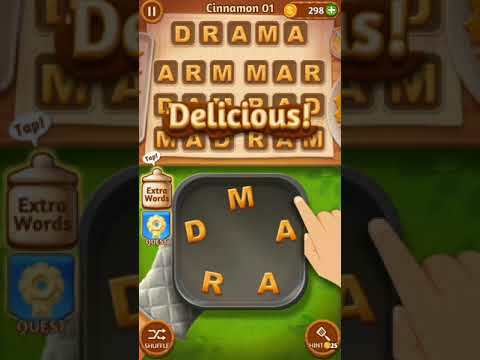 Word Cookies is an Amazing Free-to-play, Mobile Words Puzzle Game by BitMango. You enjoy the word puzzle games, you like cookies, you like challenge, WK is the perfect game for you, Word Cookies. Find delicious words cookies at your kitchen oven and Embrace your brain power to discover words. Word Cookies is a F2P, Words Puzzle game for Mobile devices. Tucked away in a little nook on an Upper West Side cross street is a tiny bakery that offers the most incredible cookies ever made. With no room to sit down, doe-eyed lovers wait for an hour hand in hand just to walk away and share that handmade delectable treat which costs as much as 3 boxes of grocery store cookies. Such is the potential of the humble cookie. Alternatively, while stopping for gas and a coffee, a hungry snack lover could also grab a prepackaged megacorp cookie six-pack, which ultimately tastes like regret, but fills you up with some empty calories. With word games as ubiquitous as cookies, it makes sense that their quality would fall along a similar spectrum of experience. And while some people are willing to invest in a lovingly crafted treat, others are perfectly happy with their saccharine filler.